Matt and I have just called ‘GO’ for the launches on the weekend. 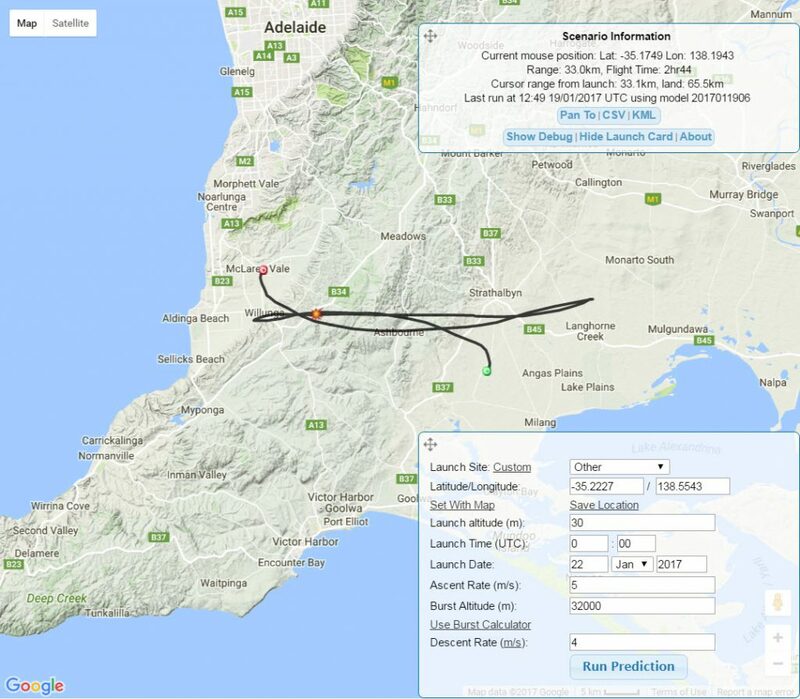 We have enough control variables to play with to be able to make the flights viable with the current predictions. Liftoff will be 10:00am ACDT Sunday from both sites. Now, onto the current predicted flight paths (with the proviso that things still have a chance of changing a bit between now and then). There will be many ways of getting involved in the flight. A live stream of the event will be available (details TBA). You can follow along the university project via their Facebook page as well! They are also running a competition to name the two balloons. If you’re a primary school or high school student please fill out the form below to submit your idea for a name! (click here). Keep visiting our website for ongoing updates for this project! 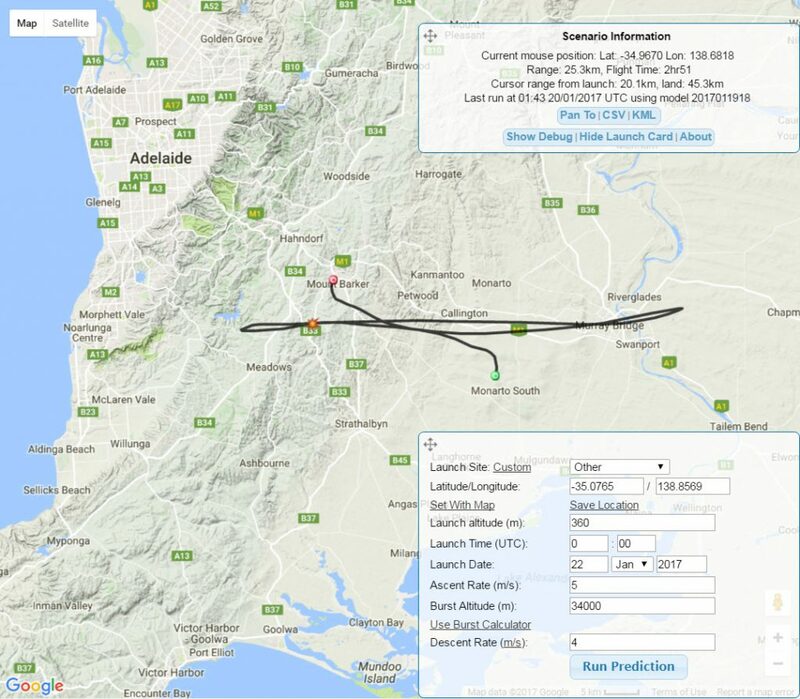 Details of the payloads and how to track them are available here (click). This entry was posted in Horus, Project Horus and tagged SHSSP 2017 by VK5QI. Bookmark the permalink.